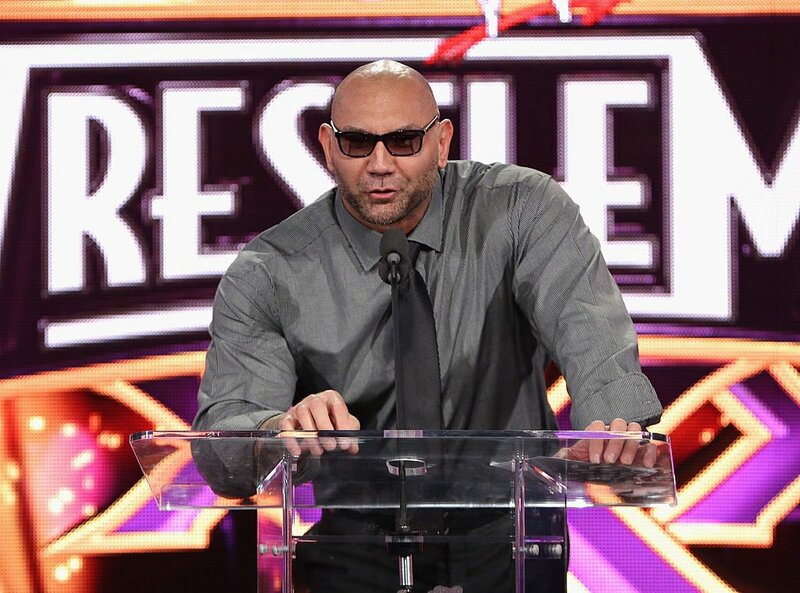 Dave Bautista, former WWE Champion and star of the upcoming Guardians of the Galaxy Vol. 2, was asked by a fan on Twitter if he watched WrestleMania 33. Big Dave facetiously responded that he watched Shane McMahon’s match against AJ Styles, and in response he received a humorous callback to his last run with the company. A massive collection of talent took the ring this Friday night for Fight Club: PRO in Manchester, as British Strong Style (Trent Seven, Pete Dunne and WWE UK Champion Tyler Bate) took on The Elite (Kenny Omega and the Young Bucks). The Elite are currently on a UK tour, after wrestling in Scotland on Wednesday and London on Thursday. Omega will be back in Japan sans Nick and Matt Jackson next weekend for the start of the Road to Wrestling Dontaku tour. The two trios had somewhat of a curtain call after the show, posing together in the center of the ring. Fight Club: PRO had a stacked card for their Dream Tag Team Invitational event, which continues this weekend. Pentagon Jr., Fenix, Marty Scurll, Zack Sabre Jr., Sami Callihan, Will Ospreay, and Shane Strickland were also in action on Friday’s show.